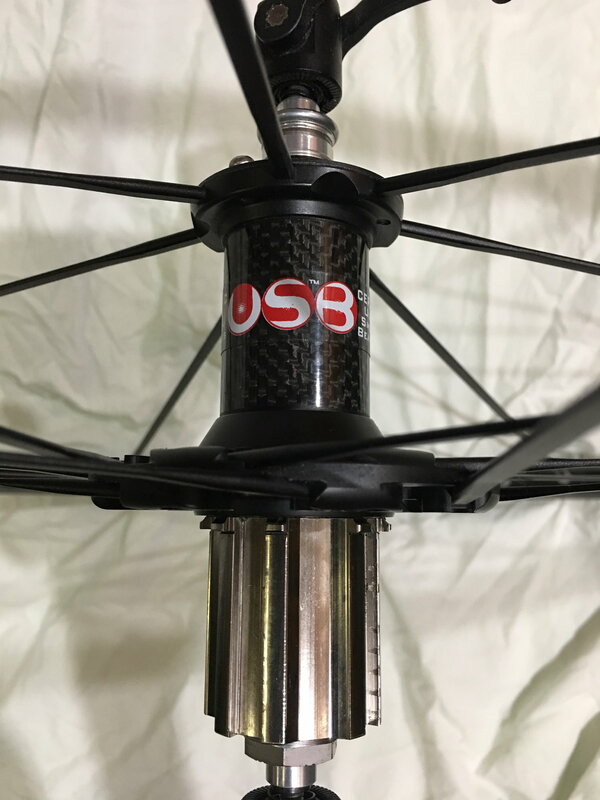 USB ceramic bearings, carbon hubs, G3 pattern w/aluminum spokes, Campy 11 freehub, Shimano 10 speed freehub. 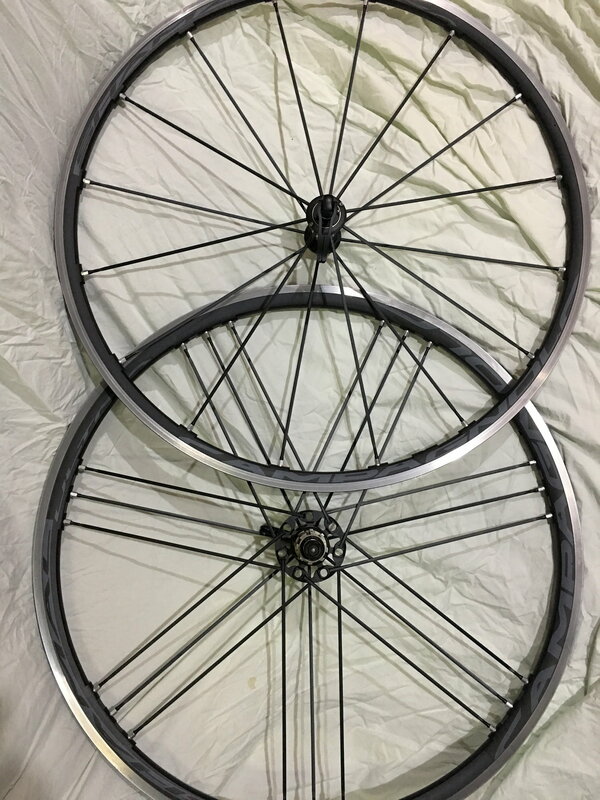 Wheelset is in excellent shape with the exception of a nick on the front rim from moving house. Smoothed out with polishing compound and Dremel cloth polishing wheel. 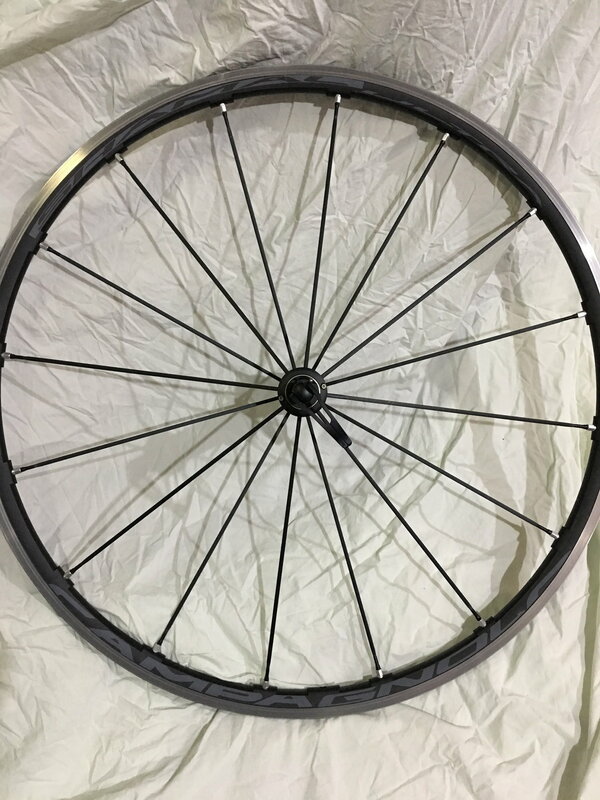 Wheel and braking integrity is not compromised as most of the miles were put on AFTER the nick happened.This wheelset is incredibly light and responsive. Excellent for crits. Under 600 miles on it. Comes with the original wheel bags. 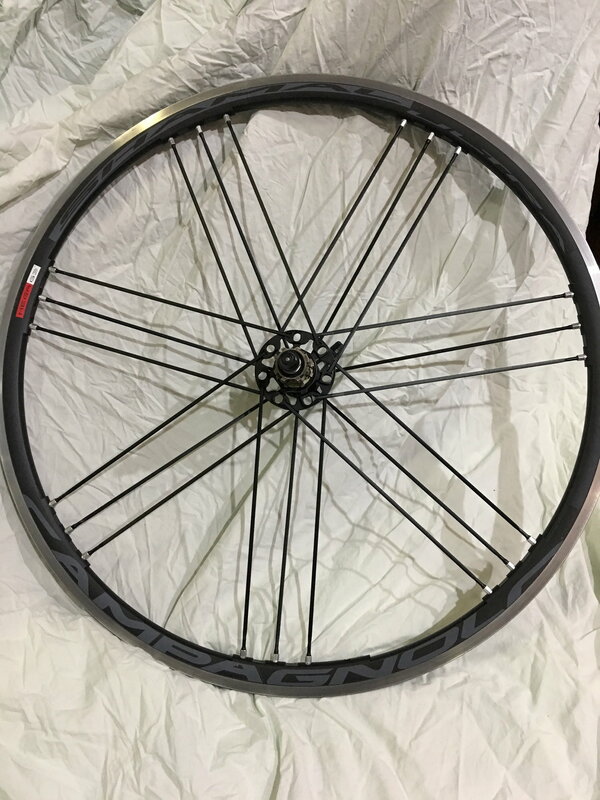 Wheel no longer fits into my riding style. Asking $625 OBO. Please email as I do not always have access to forum messaging. Those are great wheels. They do spin smoothly and fast. I have the Fulcrum Racing Zero (including the Nite version which is similar to your dark label). Your price is very reasonable for a great set of wheels.